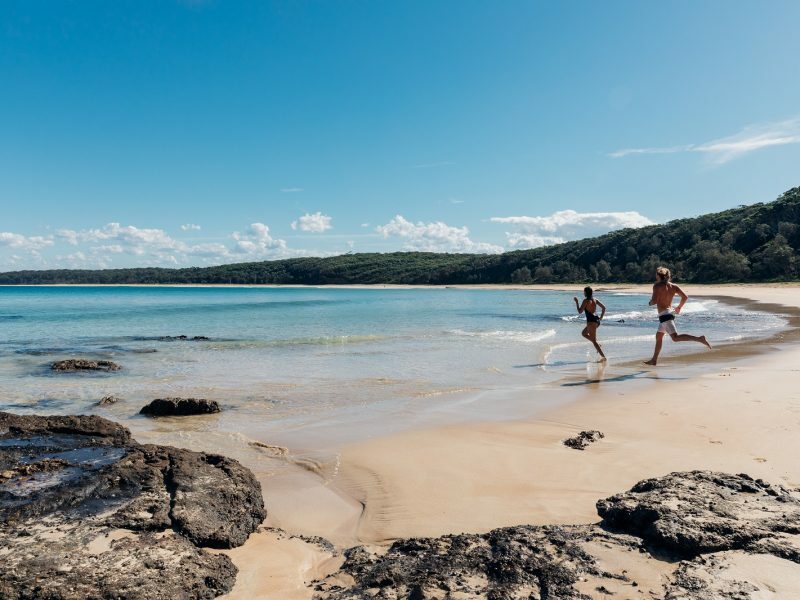 Iconically Australian rich in natural beauty, bound to spark unique adventures and challenges. 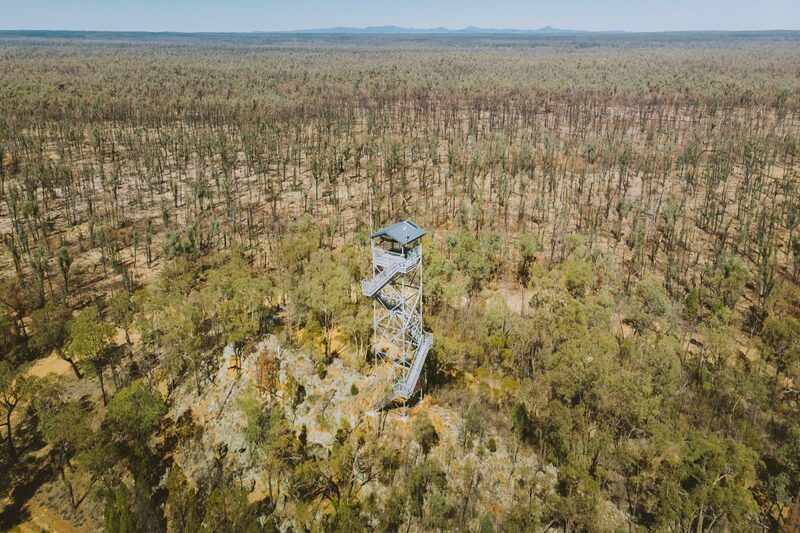 The Pilliga Forest, situated between the towns of Coonabarabran and Narrabri, in north western NSW, offers a rugged, remote and iconically Australian landscape, not found anywhere else in the country. To accurately picture the vast size of the Pilliga Forest, think big; two Sydney metro’s big. 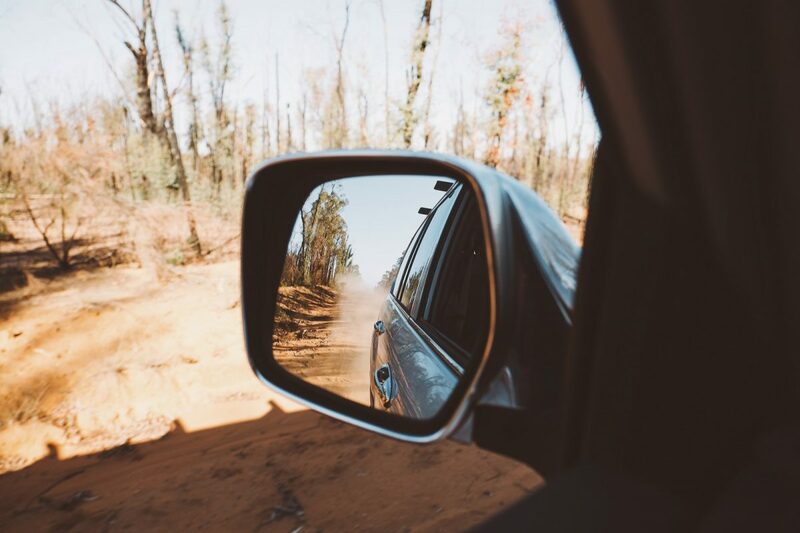 Home to the largest native forest west of the Great Dividing Range, the Pilliga Forest consists of unmistakably beautiful Australian trees and bushland, encompassing about 5,000 square kilometres of public bushland with stunning sandstone gorges and wildlife. With long straight roads like this that go on forever, this place reminds you that you’re deep in the wild, surrounded by an ancient land rich in history. 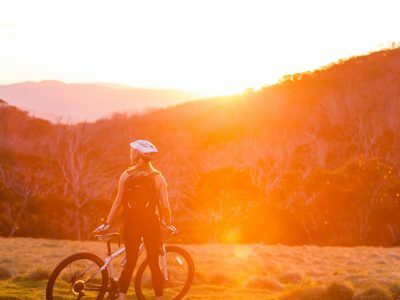 Located 6hrs drive north-west of Sydney, a 25min drive north of Coonabarabran and 20 mins south of Narrabri, this gigantic forest is well off the tarmac, but more than worth the effort to get there. 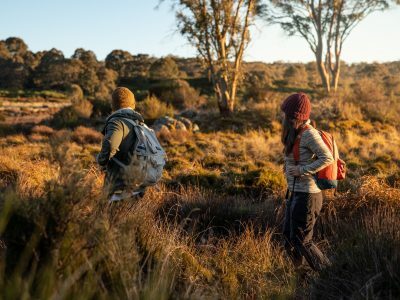 The best way to enter the park is via the town of Baradine, where you can access the main fire trail which runs through the spine of the whole forest. 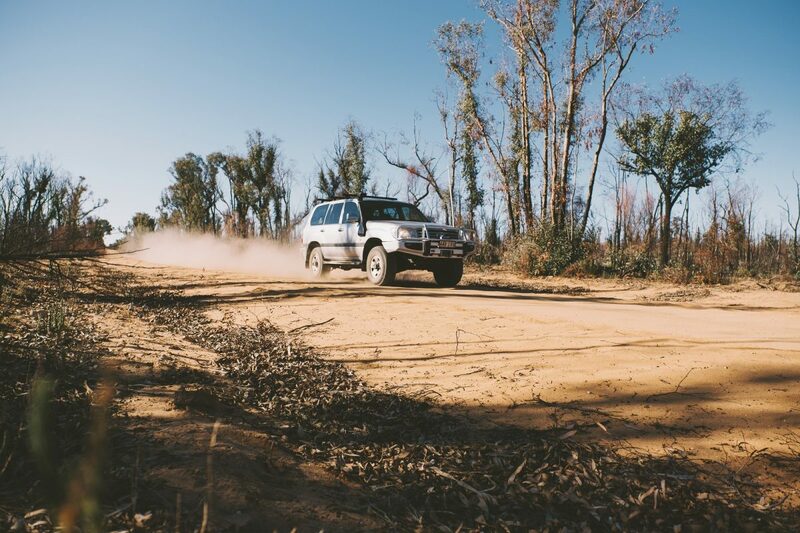 It’s best to venture this wilderness in a 4WD or a 2WD with some ground clearance as the terrain can vary throughout the park. Sand is also common and major flooding can occur, leaving roads and creek crossings uncrossable. For your own safety, check the park alerts before you head off. We also recommend ‘knowing your weather’ so here’s some handy tips by BOM(Bureau of Meteorology). 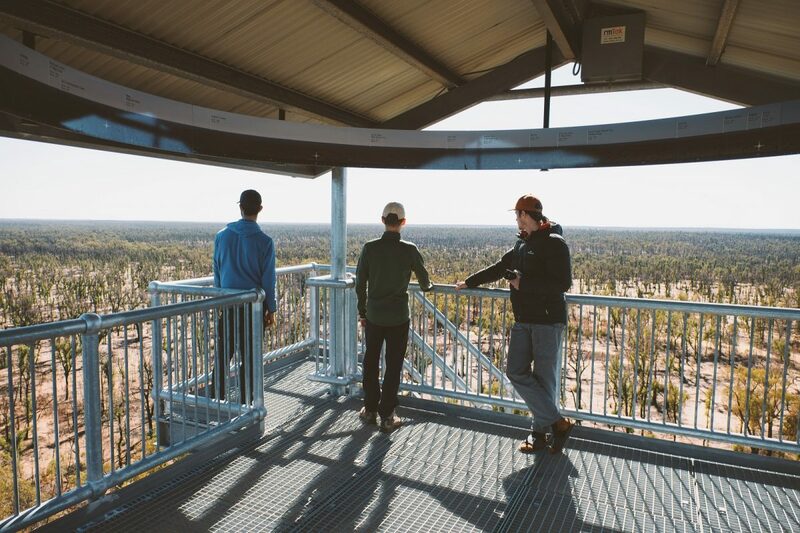 Ranger Tip: It’s definitely recommended to visit the Pilliga Forest Discovery Centre beforehand, to let them know you are in the area, ask any questions and gain some local knowledge on the forest and its history, grand scale and tales. 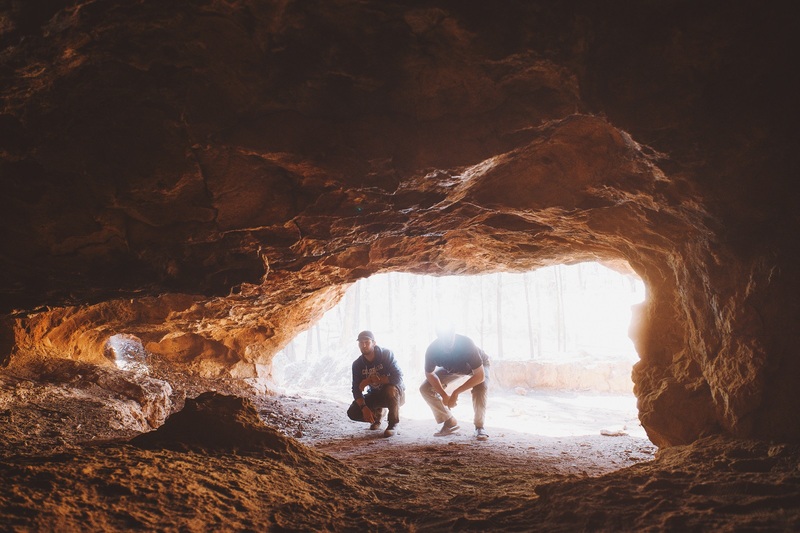 Located in the town of Baradine, the Pilliga Forest Discovery Centre is well worth your time if you’re planning on venturing into the forest. The interactive displays at the centre give you a sense of awe for the size of the forest. Learn about the native animals, plants and the forest’s different stages in history, from major bushfires to mining. The knowledgeable staff offer advice on best routes and sights to see, guided tours available, as well as insights into the cultural and environmental history. Stopping here will give you the first taste of this dramatically unique landscape and inspire you to go and see it for yourself. 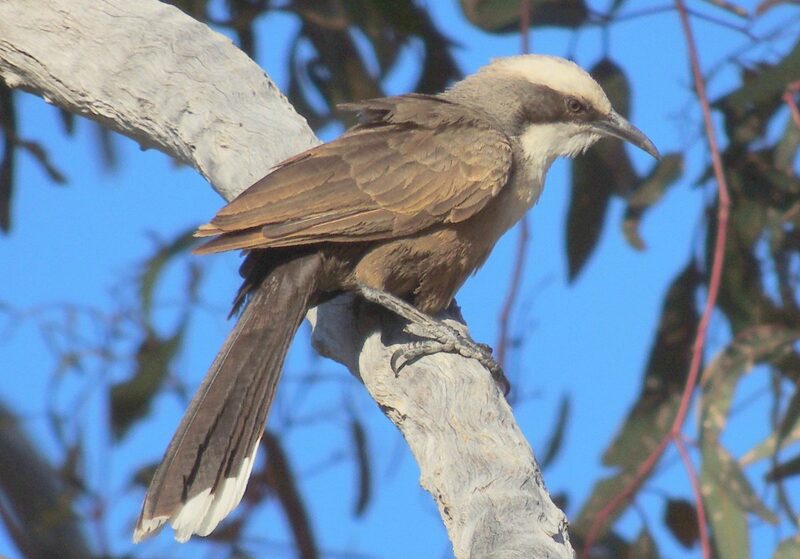 Did you know: There are 13 different reserves managed by NPWS in the Pilliga. 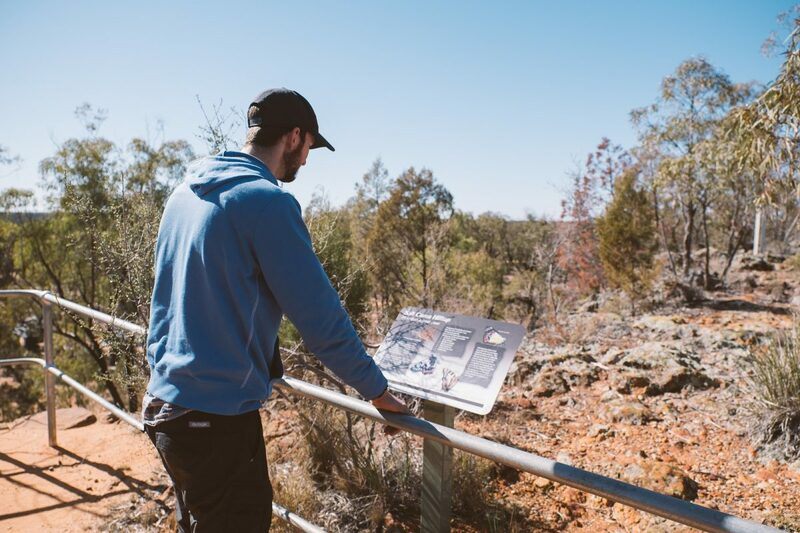 The area also has a number of State forests that are open to the public which the Pilliga Forest Discovery Centre staff can help you with info and directions. 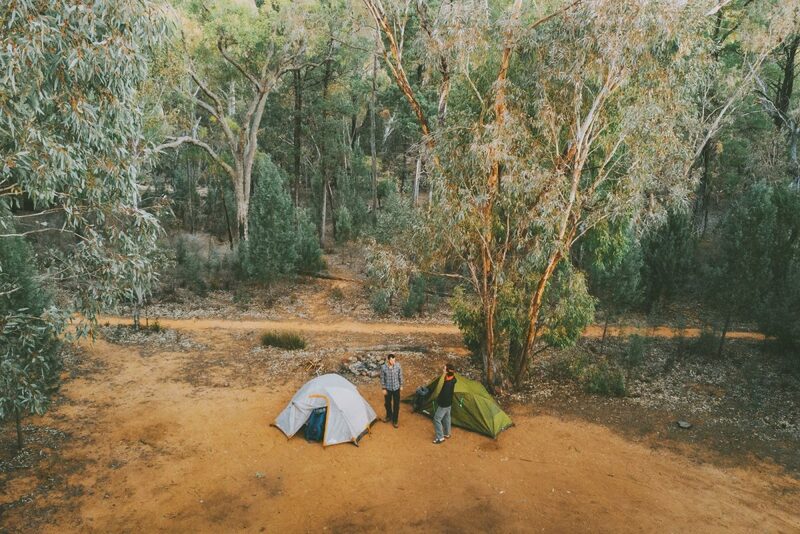 Tucked away under beautiful native trees, lie spacious campsites in the Sculptures in the Scrub campground, with their own fire pits is one of the parks and reserves that make up the Pilliga Forest. It’s free camping here, so just rock up and set up! There’s no grass, so you’ll have to set up your tent in the dirt, or bring a tarp to put beneath it. 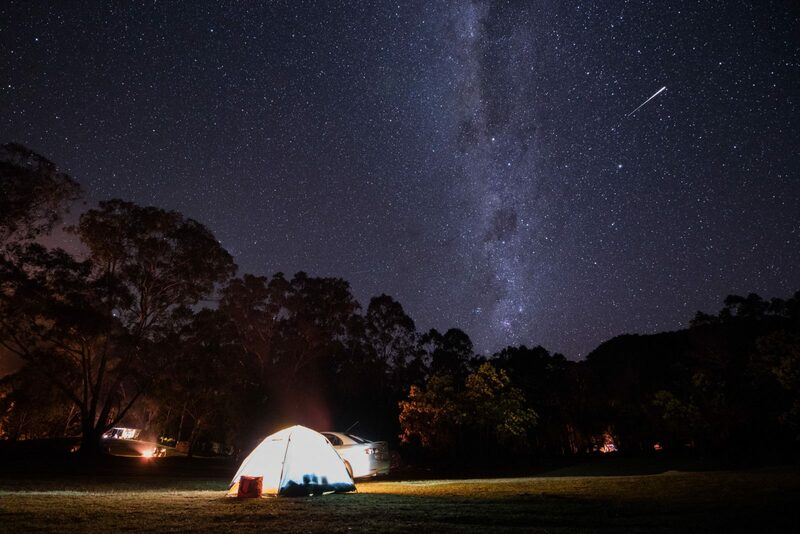 Within 100m of the nearest campsite is the campground facilities, including toilets and BBQs. The phone service is very limited out here and only brief sections of the Sculptures in the Scrub track have reception. Download the NSWParks app to your phone for offline maps and park info so you can access it anytime. It’s important to have extra water and food as this area is very remote. 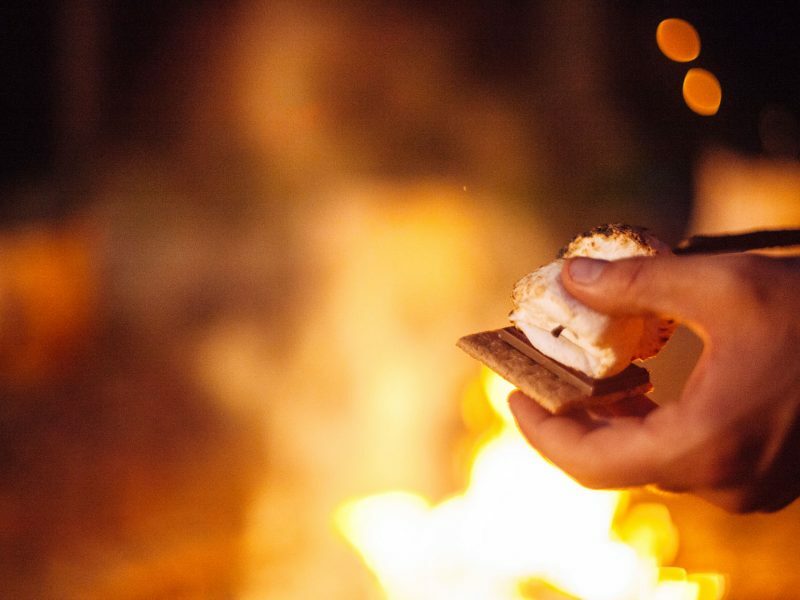 Planning a campfire to roast your marshmallows? Be aware that fires are only permitted in the designated fire pits. Check the park alerts to make sure there are no total fire bans in place. Ranger Tip: Pilliga forest is very prone to bushfires, so be conscious of the size of your fire, be sure to put it out and stay with it until it’s completely extinguished. To find out more information on how to correctly manage your campfires here. Fires are not permitted during the bush fire danger period (usually October- March inclusive). This area known as the Dandry Gorge speaks to you on a different level. It’s silent, it’s special, it’s vast, completely remote and deeply rich in Aboriginal history. 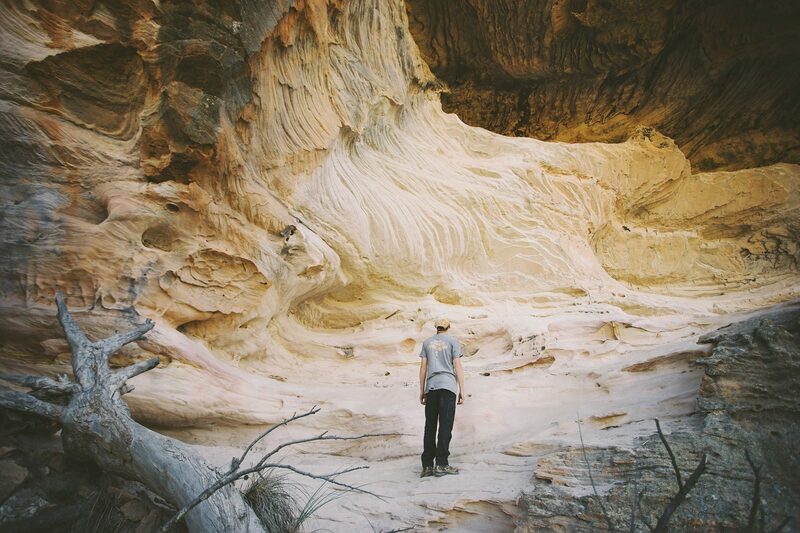 The geology is dominated by Pilliga sandstone and large rocky sandstone outcrops. 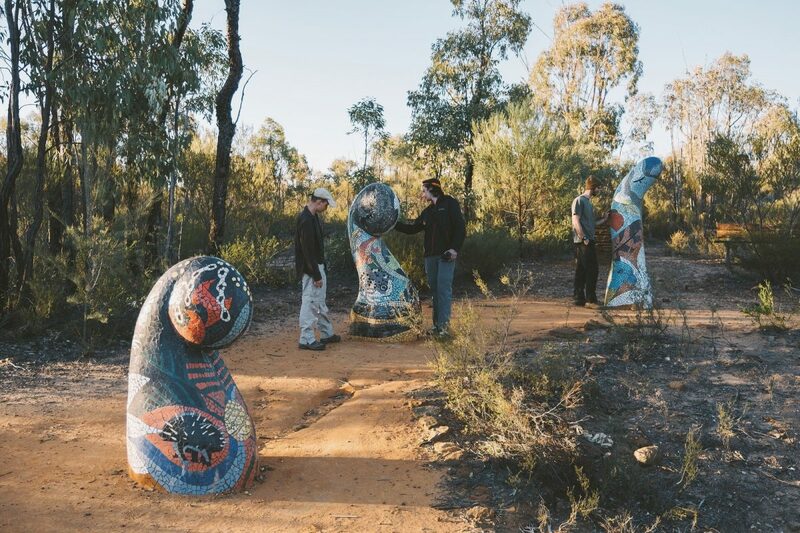 The sculptures found along the Sculptures in the Scrub track, Timmallallie National Park in the Dandry Gorge, were made by five artists who collaborated with Aboriginal elders and young people of the region to depict stories of contemporary Aboriginal culture and the connection to the landscape of the Pilliga. Walk the track at your own pace, and you might be lucky enough to have it all to yourself. Did You Know: Pilliga also has the largest koala population in NSW – look for them in the forest’s red gums. If you are lucky enough to spot a koala, please report your sighting to the Baradine NPWS office. One of the most incredible sculptures is the axe heads that represent a white man’s metal axehead. 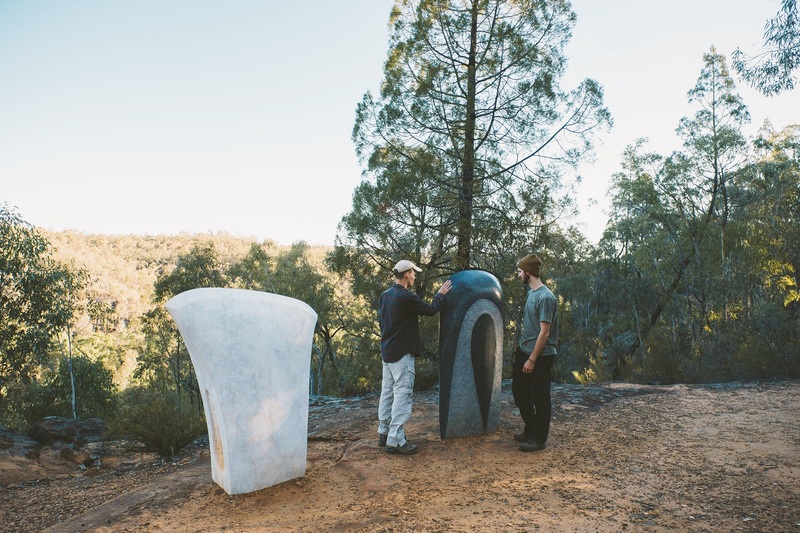 If you’re staying at the Sculptures in the Scrub campground, the Salt Caves and the Pilliga lookout tower is an easy 30 min drive through the forest. 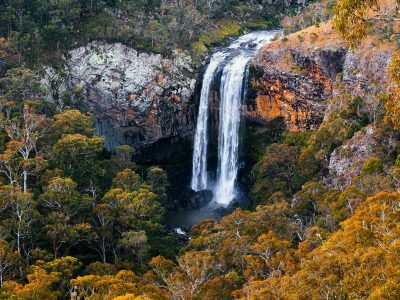 Located in the Timallallie National Park, in the northern section of the Pilliga Forest, this area is positioned in what seems to be the middle of the Pilliga Forest. 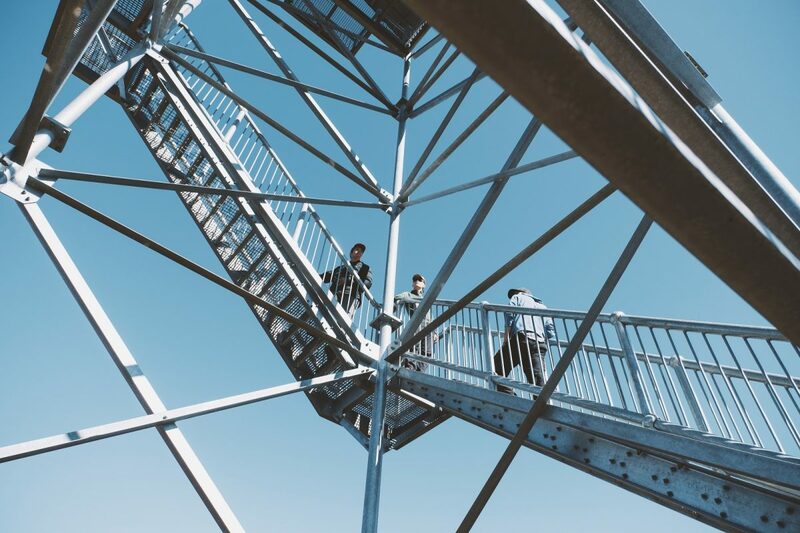 From here, the park goes almost 70km in every direction, and once up the fire tower, viewers can experience a massive sense of scale and perspective. To the north, Mount Kaputar is visible on the horizon and to the south, the Warrumbungles paint a beautiful skyline of jagged mountains. The nearby, Salt Caves picnic area is perfect for a bite to eat, or to free camp overnight as well. The area has great BBQ facilities, toilets and plenty of red dirt to add to that bush feeling. The salt caves are about 50m from the carpark. The caves are incredible, you can walk roughly 20m inside of them. From the outside you wouldn’t sense there is a deep cave system just through the entrance. It’s a historic Aboriginal site, used as a traditional shelter by the Gamilaroi people. Walk through and spot traces of light beaming through the cracks in the rock. All the tracks in the Pilliga are of Aboriginal significance, so please remember to respect the Gamilaroi people. The Pilliga Forest is a remote and wild area. Please take adequate water, food and safety equipment. Phone service is lacking, so let park ranges and family members know where you are. 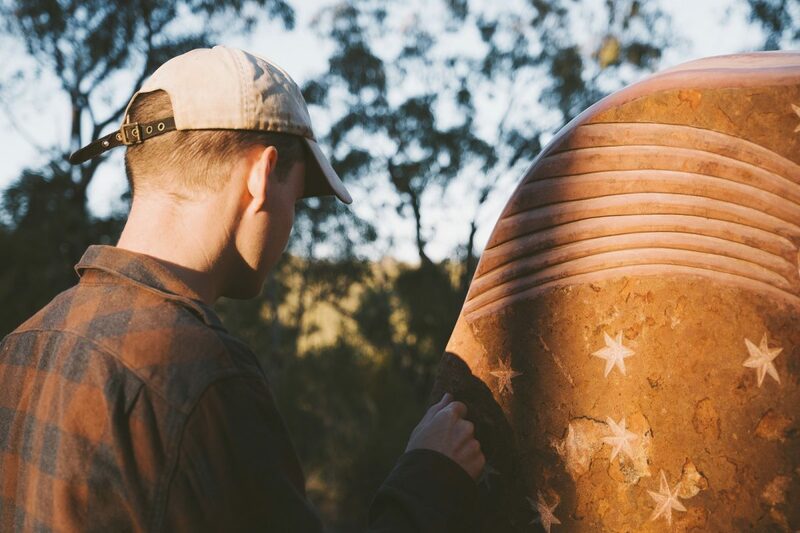 When walking the Sculpture in the Scrub track, be sure to stop at each sculpture and read the background information and cultural significance of each piece. Such a special place and one to see for yourself. 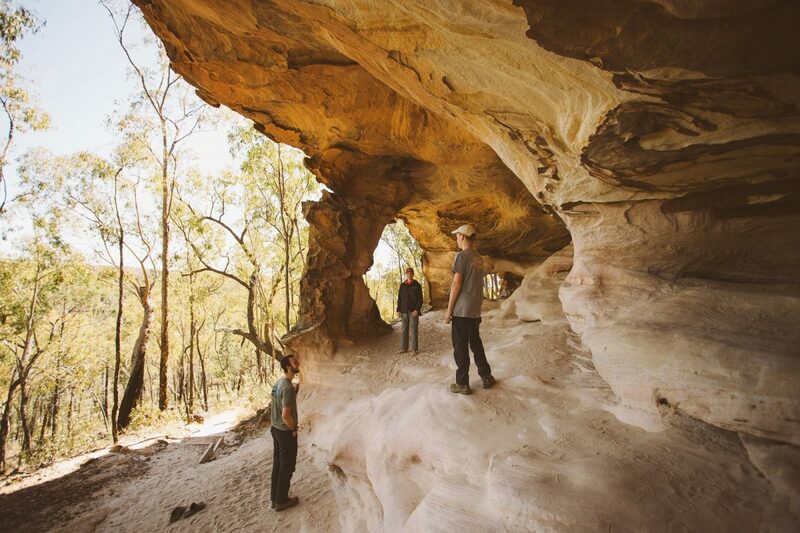 Pilliga sandstone is the foundational layer for the entire Pilliga forest. Volcanic eruptions which formed the Warrumbungle and Nandewar ranges also formed this large sandstone outcrop. Over thousands of years, the rock has slowly weathered and as a result, beautiful shapes, colours and holes have appeared in the rock. 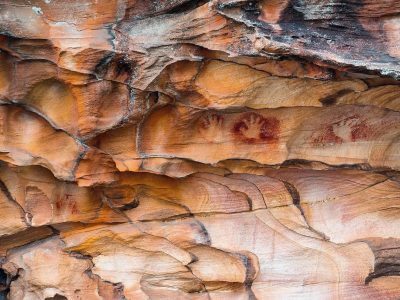 The caves overhang metres over your head and you will spot Aboriginal rock art and carvings in the rock along certain parts of the track. This place just screams serenity. Walk it slowly self guided, or experience this with a guided tour with an NPWS Aboriginal guide, bookable at the Pilliga Forest Discovery Centre . Be in awe of every unique pattern and colour and as a matter of respect for the Gamilaraay people and this special place, please avoid the temptation to touch the rock art and carvings in the rock. Directions to access the Sandstone Caves are required as the area is not sign posted (at the request of Aboriginal Elders) check in with the friendly staff at Pilliga Forest Discovery Centre. Photography is permitted, however visitors are requested not to use flash photography. 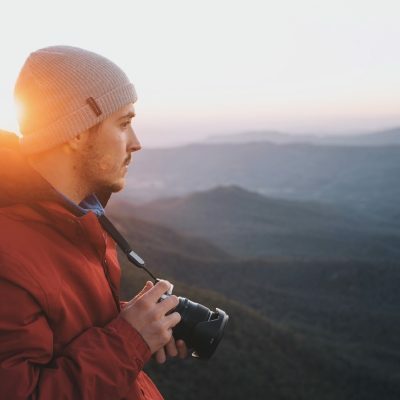 Warrumbungle National Park and Mount Kaputar National Park are well worth the visit if you’re in the Coonabarabran/Narrabri region. Both offering a playground for the adventurous, with great hiking, climbing, stargazing and camping options. 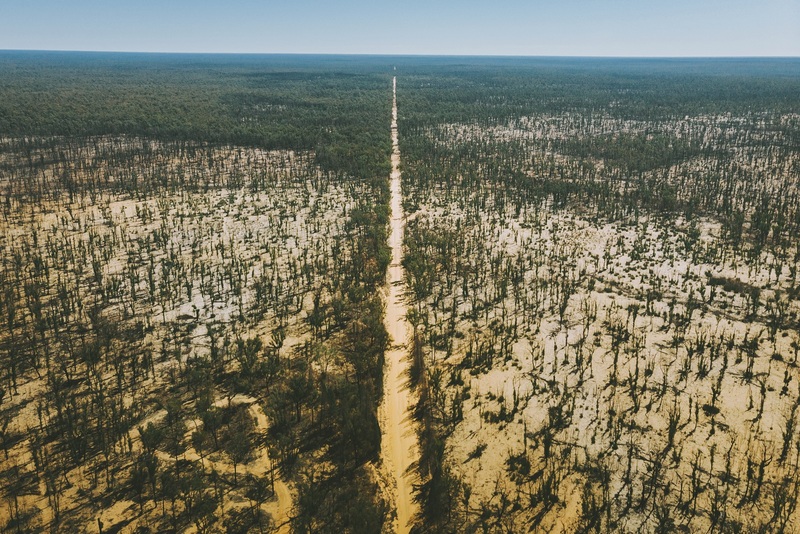 Located between Narrabri and Coonabarabran on the Newell Highway, the Pilliga Forest has a complex system of tracks and roads. It is recommended that advice is obtained before visiting the area. Many roads in the area are unsealed and poorly marked. Prior to your visit, contact the Baradine office between 8:30 am and 4:30 pm Monday to Friday, for further information and directions. All the tracks in the Pilliga are of Aboriginal significance, so please remember to respect the Gamilaraay people. 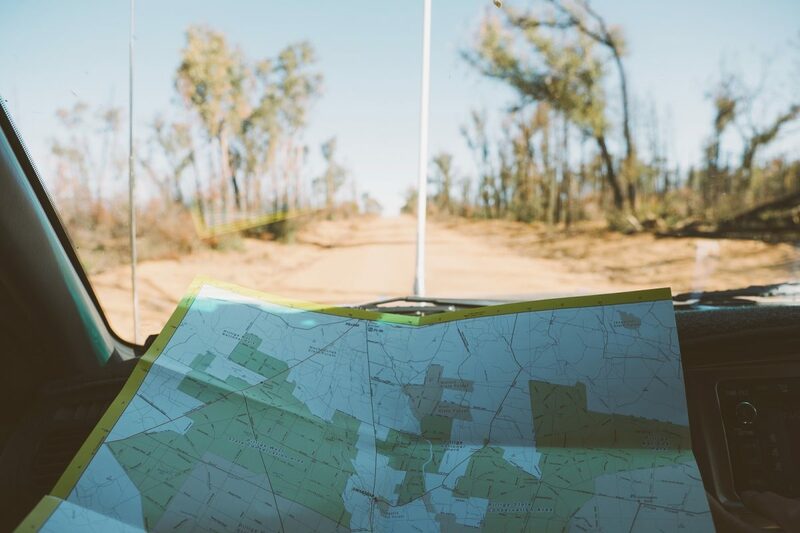 For a genuine rugged and remote experience that’s geologically different to any other part in Australia and well off the grid, the Pilliga Forest is an area of unique landscapes, vast bush and ancient Aboriginal culture. 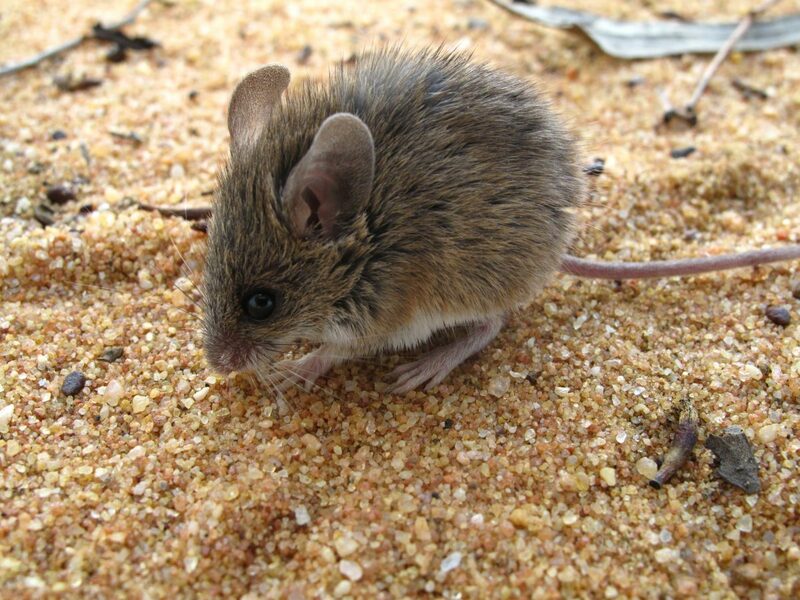 Be prepared for a wild, inspiring bush experience and hopefully catch a glimpse of the the Bilbies that bounce through Pilliga.